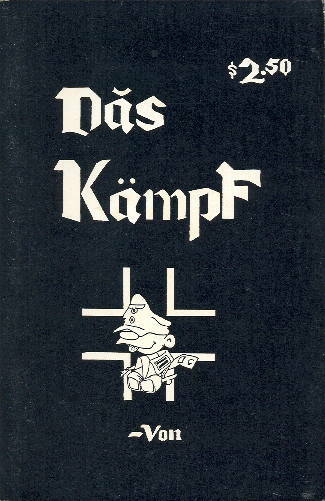 Das Kampf (Bagginer Productions/Vaughn Bodé Productions, 1977). 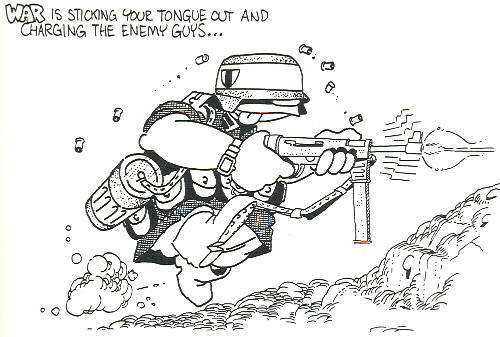 § January 13th, 2010 § Filed under from the vast Mikester comic archives, undergrounds Comments Off on Das Kampf (Bagginer Productions/Vaughn Bodé Productions, 1977). According to the printing information on the back cover, the original edition from 1963 had a print run of about 100 copies, run off a mimeograph machine. This site has an image or two of the original version. 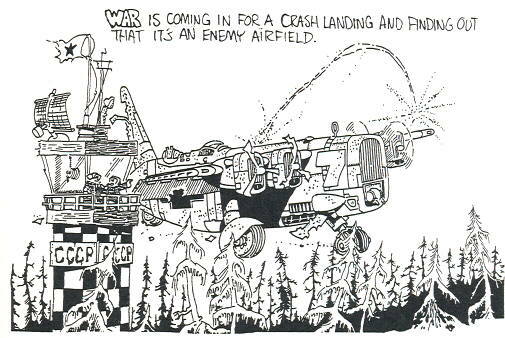 (Also, the original 1963 publication would seem to contradict the assertion I’ve seen here and there that Das Kampf ‘s “War Is” gag format was a parody of the Love Is… comic strip, which began in 1970.) The version I own, “the 1st comic publication” as it is described on the back cover, had a print run of 3,000. It was published in 1977, two years after Bodé’s death.